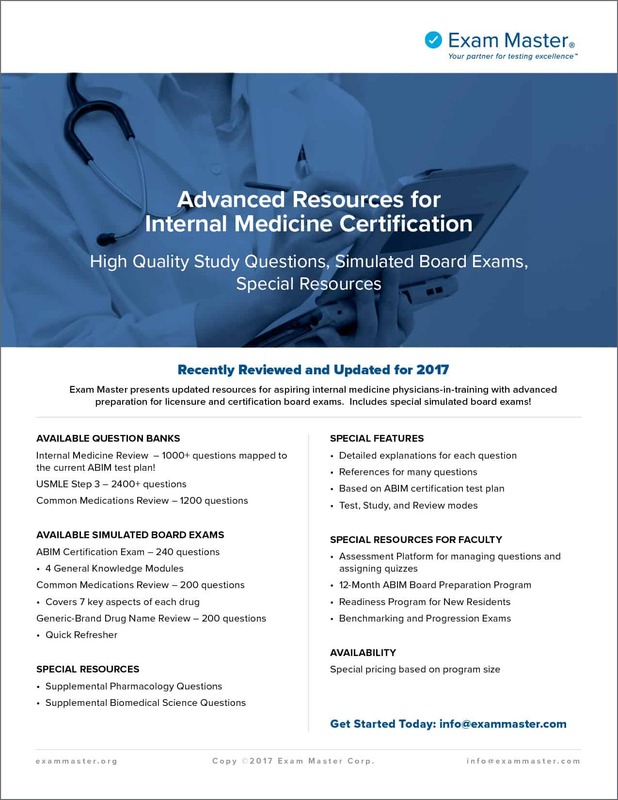 Exam Master has been serving the Internal Medicine educational and training community for over 15 years. We specialize in working with educators to help solve challenges and improve outcomes. Fill in the form below to learn more about how we can help your program.